BLIMEY! The Blog of British Comics: Metamorph! 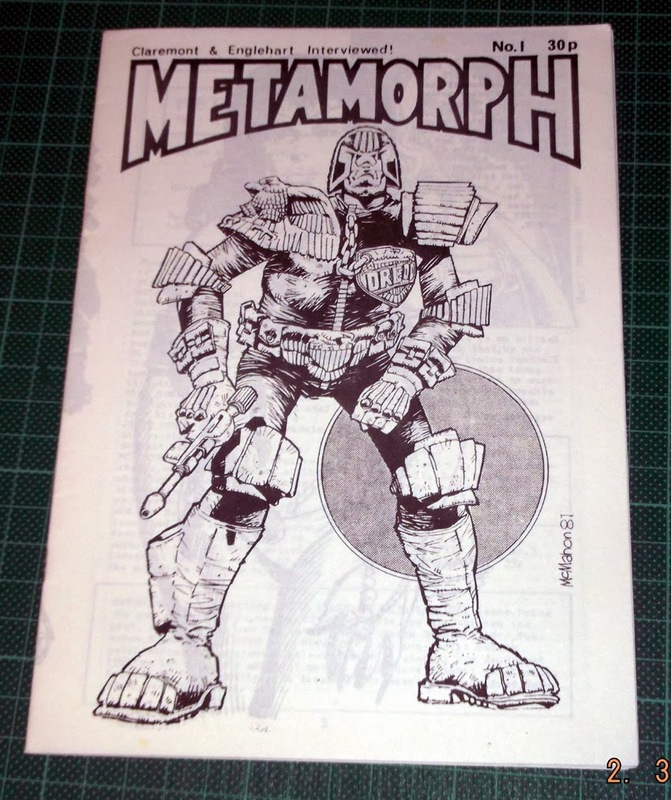 Back in 1981, when numerous fanzines were the forerunners to Internet blogs and forums, I published an A5 'zine entitled Metamorph. I only had around 150 printed, - proper litho printing though, not photocopied, - and I have an unread copy up on eBay at present. Exclusive cover by Mick McMahon, (with a logo I designed) plus sketches by Dave Gibbons and Brian Bolland, exclusive interview with Chris Claremont and Steve Englehart, and the second episode of Brick-Person (who would later evolve into Brickman).